I am still not sure spring is actually here. I mean we keep going from pretty cold, to short sleeve weather, to severe thunderstorms, and then cold and wet. It would be nice to even out just a little. Anyway, I am wondering about your spring shopping habits. Are you one of those who goes spring shopping for new shoes, clothes and/or accessories? Or do you just pull out some clothes you had stored away for winter and then you are ready to go? Recently I saw an article about a company selling a pair of jeans, spattered in artificial mud for $425. Now, I am pretty sure none of my neighbors has purchased a pair of mud spattered pants for $425, but what do you spend on your spring shopping. 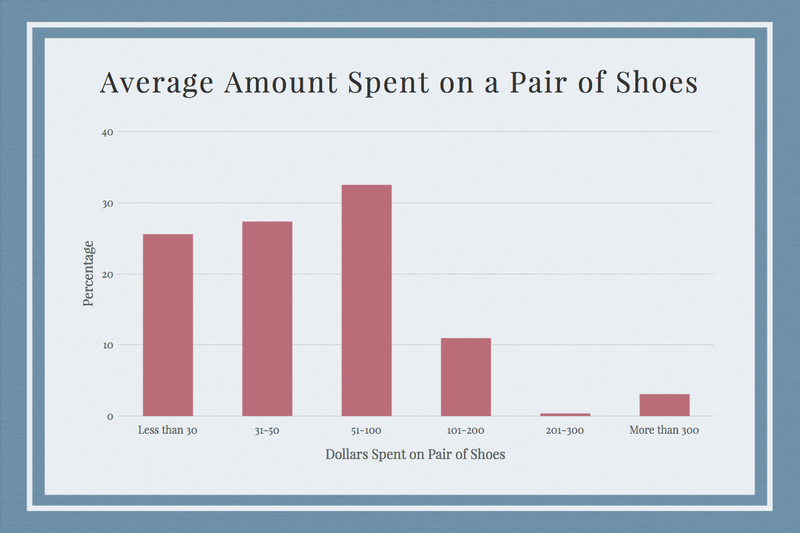 It was estimated in a fashion survey, that percentage wise the average spent on a pair of shoes was $51-$100. Do you fit in there? Do you spend more, or are you more frugal? And it the survey also stated that the average is for a woman to own 6-10 pairs of shoes. Of course it shows that men generally own less shoes then women. LOL!! Here is a question for you. Have you ever hid a clothing purchase from your spouse? 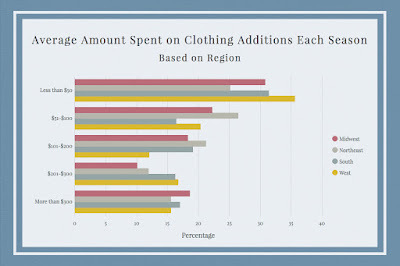 According to this survey women are more likely to hide a clothing purchase than their male counterparts. I was surprised to find that most women pay under $50 for clothing additions each season. I mean, I do, but I have a tendency to only shop sales, clearance and thrift store or resale shops. The survey even broke it down into regions. See if you are average for where you live. Have any great spring, clothing, shopping tips? Be sure to share them with us in the comments! Thanks for visiting with us today. See you soon!